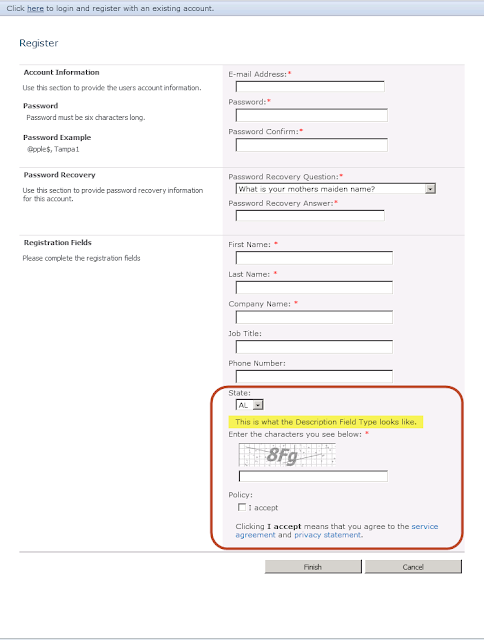 There are two ways you can edit the fields that appear on the Registration Page: by Site Collection via the User Interface (UI) and globally via the web.config file. 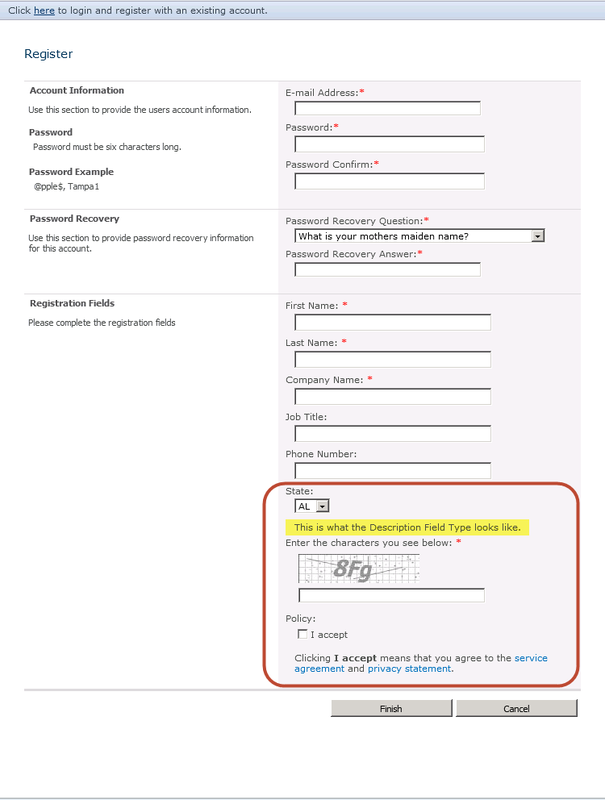 In most cases, you will want to capture certain fields on every site (First Name, Last Name, Company Name, etc. 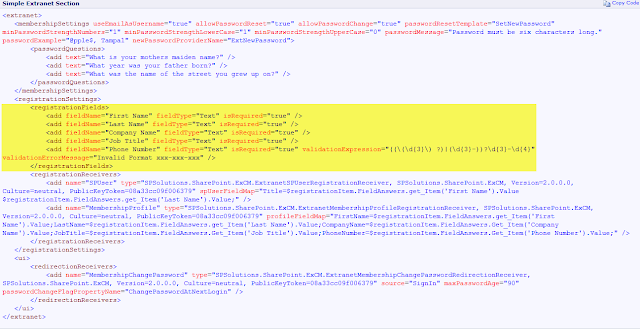 ), so it makes sense to configure those globally and add the more specialized fields (Captcha and Policy) via the UI. However, what if you were running ExCM on hundreds of sites? 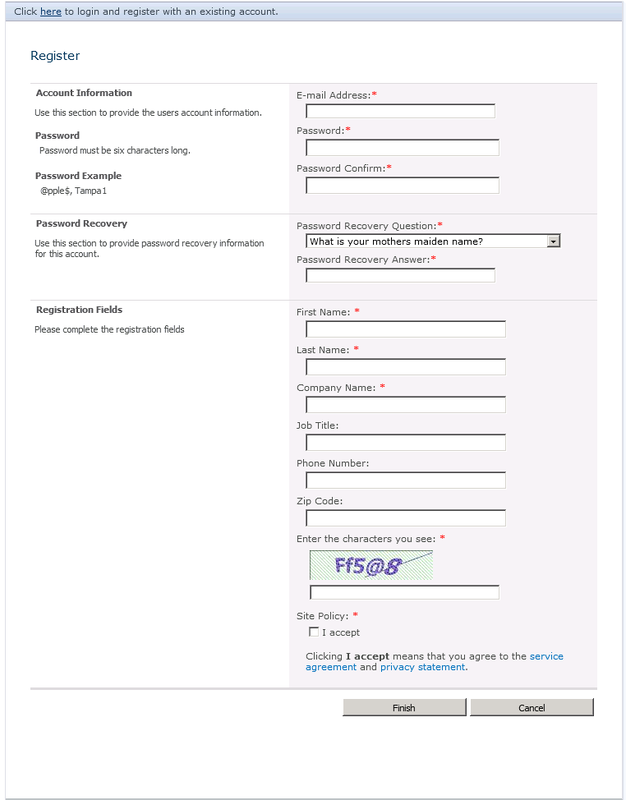 It would be very time consuming to go into each site and configure the additional fields. In that case, you would want to choose the common fields for ALL your sites and configure them globally. In this blog, we will look at how to configure all the field types globally via the web.config file. 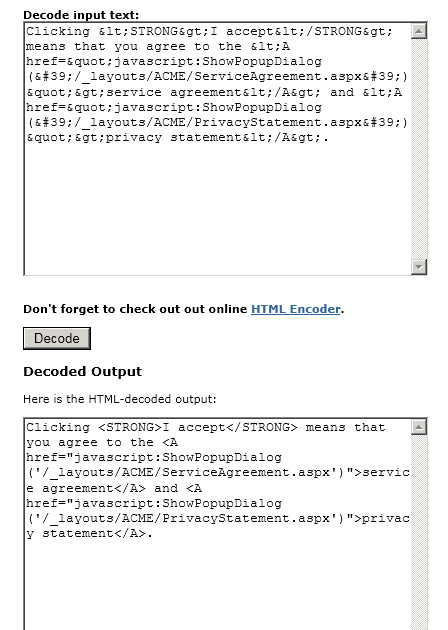 The Policy field is a little more complex because it typically contains HTML content, which is invalid in an XML attribute. As a result you, we will need to add the policy message content to a resource file (.RESX) and place it in the App_GlobalResources directory of the IIS site. Note that I have also used “ACME” in the sample config files to remain consistent with the blog post. In your case, you will basically want to replace all instances of “ACME” with your company name. The first is the resource file itself. This is where we will enter the HTML changes we want to make for the Policy Field. The next is a sample anonymous master page that I will use for this blog. In my environment, I have Anonymous Access turned off on both my Web App and IIS for this site, so I will need to reference this anonymous master page to allow the users to see the Policy Field. 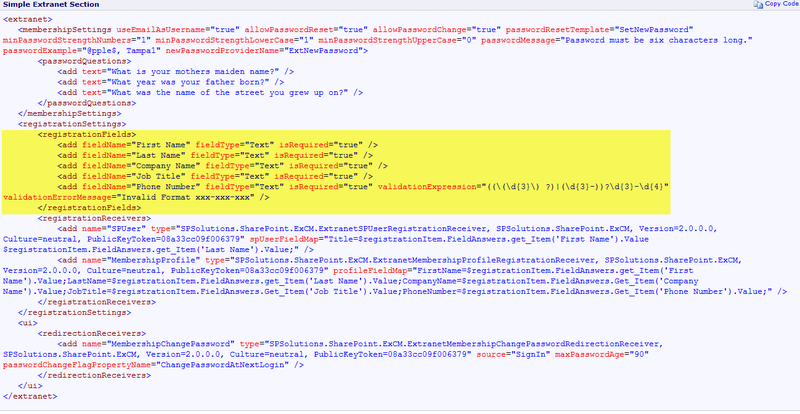 Finally, “PrivacyStatement.aspx” and “ServiceAgreement.aspx” are sample files we can edit to suit our needs. For the purpose of this blog, we will only configure the Service Agreement. The configuration of the global Privacy Statement would follow the exact same steps. 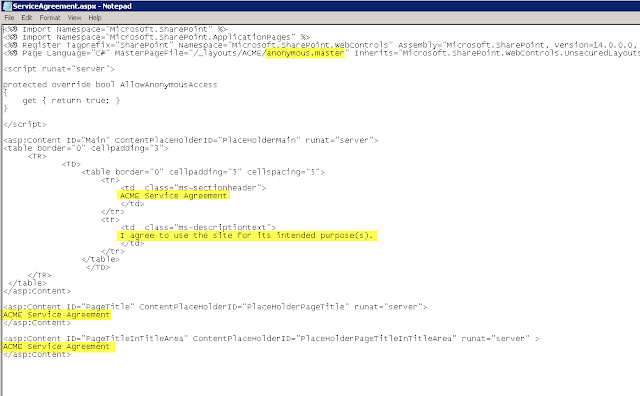 The first change I made was to reference the “anonymous.master” master page due to my environment configuration. Next, I gave the header the name “ACME Service Agreement,” and did the same for the PageTitle and PageTitleInTitleArea tags. Finally, I put a very brief custom agreement in the “descriptiontext” tag. 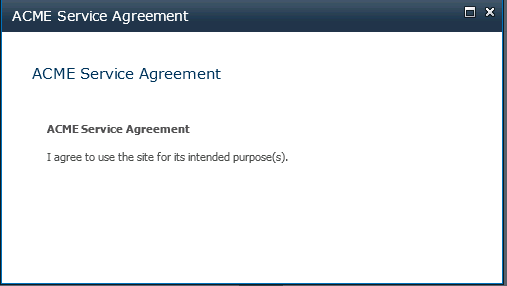 As mentioned earlier, you can follow the same steps to also customize the Privacy Agreement.